Faith is something that is incredibly important to millions of people throughout this country, and billions others around the world. It can provide us with comfort in times of darkness, and can color, or even define our lives. Sometimes, that faith can waver. For example, you might be having a terrible day when everything seems to be going wrong, and it all seems a little hopeless. But then, seemingly out of nowhere, there’s a clear sign which makes you believe again. 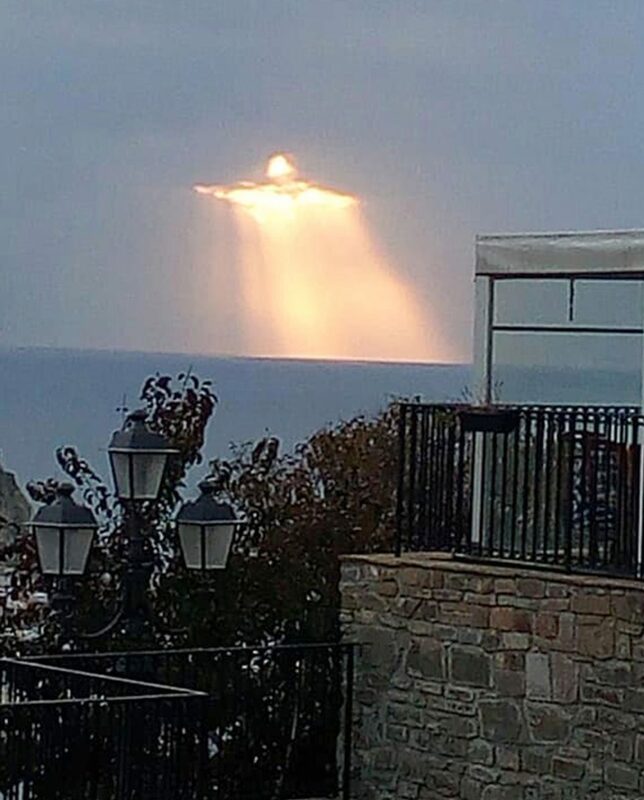 Although he wasn’t having a crisis of faith, Italian man Alfredo Lo Brutto, from Agropoli, was lucky enough to catch on camera what certainly looks like some kind of miracle. The photograph below appears to show a likeness of Jesus appearing in the clouds above Italy. Sure, the skeptics out there will say that is completely down to random chance how the clouds form, but how can you deny that this clearly looks like some kind of sign from above? Just look at it! It’s made even more special by the fact that the sun is shining directly through the cloud shape, resulting in a beam of light emanating below it onto the ocean. It certainly looks divine, that’s for sure! The majestic snaps were taken by Alfredo, who spotted the figure of our Lord and savior Jesus Christ bursting through murky clouds last Friday, 1 March. 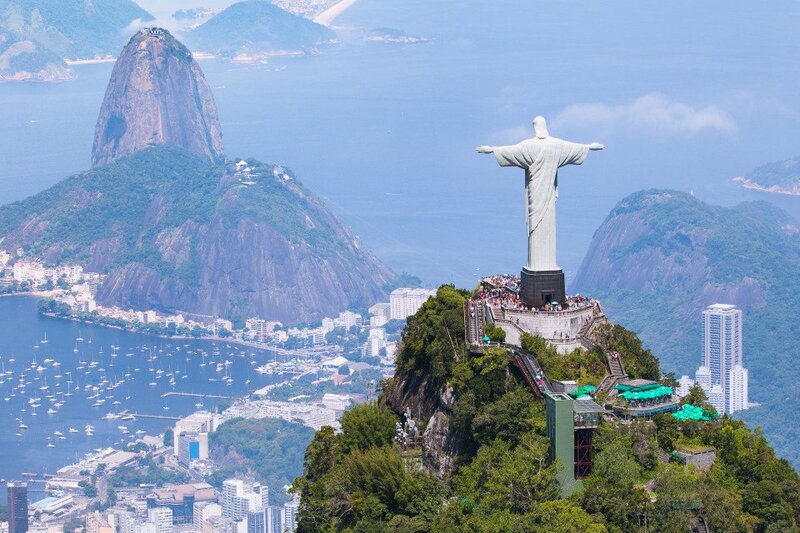 A spectacular sight, I think you’ll all agree – it appears to resemble the famed Christ the Redeemer statue in Rio de Janeiro, Brazil, pictured below. This is a lot more believable as a sign of divine existence than some of the others that have done the round in the past. For example, that woman who thought Jesus had appeared in her toast, then kept it and charged people to see it. That kind of stuff seems to happen quite a lot, and could easily be faked, but it’s harder to argue with what we see in the clouds! Stunned by the beauty of the sunbeam, Alfredo said in an interview that he just had to share it with the rest of the world.